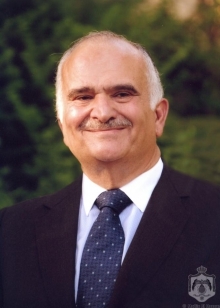 On 5 March, The Hague Institute for Global Justice hosted HRH Prince El Hassan bin Talal of Jordan who delivered a lecture on the topic “Resilience: A road-map to building a secure and sustainable future for West Asia and North Africa”. A pluralist, convinced in consensus and respect for the other, His Royal Highness believes in societies in which all peoples can live, work and function in freedom and with dignity. This goal has been the moving force behind his interest and involvement in humanitarian and interfaith issues, with particular stress on the human dimension of conflicts. His Royal Highness has initiated, founded and is actively involved in a number of Jordanian and international institutes and committees. He co-chaired the Independent Commission on International Humanitarian Issues (ICIHI), 1983 and is currently Chairman of the Higher Council for Science and Technology, the Royal Institute for Inter-Faith Studies, the Royal Scientific Society and President and Patron of the Arab Thought Forum. HRH is the Chairman of the West Asia – North Africa (WANA) Forum which was established in 2009. HRH is a Trustee of the UK-based Coexistence Trust and is President of the Foundation for Inter-religious and Intercultural Research and Dialogue and President Emeritus of the World Conference of Religions for Peace. His Royal Highness is a Board Member of the Nuclear Threat Initiative (NTI), served as a Commissioner on Legal Empowerment for the Poor and is a Patron of the Global Centre for the Responsibility to Protect. From 2013 to 2014, His Royal Highness was the Chairman of the United Nations Secretary-General’s Advisory Board on Water and Sanitation (UNSGAB). Prince El Hassan is the author of nine books.